What is the difference between screen and digital printing? While these are two of the most popular methods of modern printing, which process you may choose will depend on what it is you want to print. Dimensions, materials and quantity will all affect which one is best for your own project, but it’s always best to understand the differences between both methods before sending your artwork to a printer. This is the more traditional method of the two, developed from the earliest printing processes by applying ink directly to the surface of the material from a custom-made stencil. Each colour is printed separately, resulting in a bold, rich finish that is perfect for textiles, plastics and textured materials. 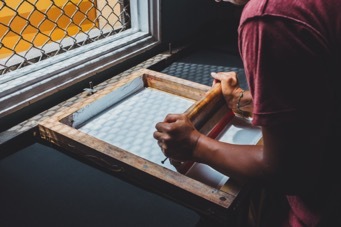 You can trace the history of screen printing through Middle-Age China and Ancient Egypt, although it’s only been around as a commercial process in the last 150 years. 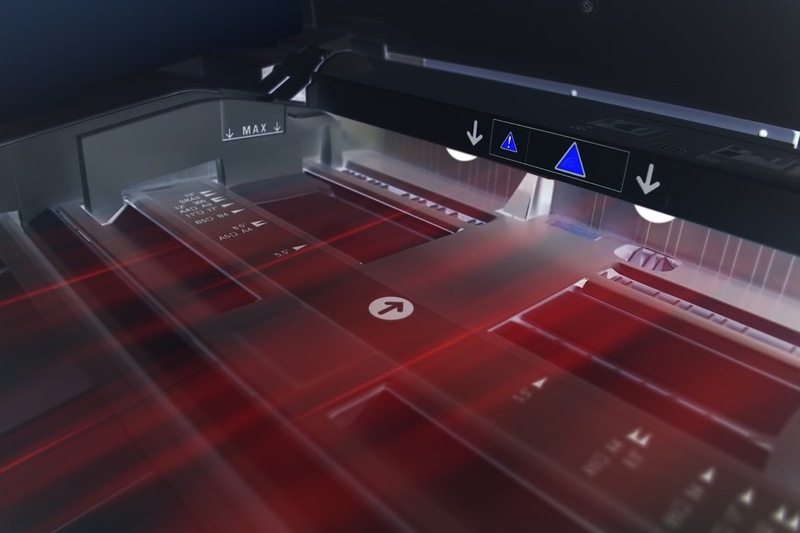 This more modern method is adaptable enough to print at high quality on the majority of materials but is particularly great for high-speed print runs. Artwork is either created or converted digitally, then transferred into a format that can be printed directly – in its entirety – onto the surface required. This method of printing has only been widely available for the last 30 years but has quickly evolved and developed in terms of the high, competitive quality it now produces. For small, quick and cost-effective print runs, digital is the go-to option. It’s easy to set up without accruing costs for this part of the process, and perfect for printing to a tight schedule. The versatility of screen printing, however, becomes more attractive when a higher number of prints are required. With an initial cost usually accrued to set up any screen printing process, the cost per unit effectively reduces as the volume required increases. When it comes to bold, standout colour, screen printing is also the best option for artwork that requires a high level of vibrancy – especially useful for printing on darker materials or unusual textures. But when it comes to detail, digital printing really comes to the fore with the potential for realistic, photo-quality imagery. This also means that artwork featuring a wider range of colours would probably be better suited to digital printing, as the process doesn’t require multiple stencils to achieve the required finish. 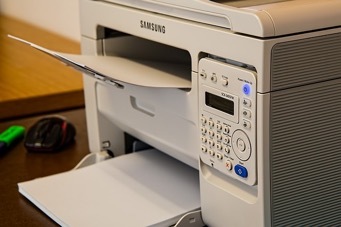 With these popular, modern methods of printing both practical and adaptable enough to handle the majority of printing projects, your decision might come down to which one is the most cost-effective for your printing project. If you’re still unsure which one will work best for you, get in touch with us today and we will be happy to help you to make the right decision.